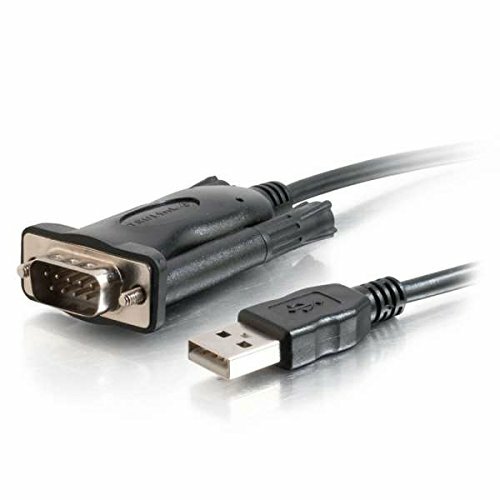 Connecting USB with the traditional RS-232 serial port, this adapter connects cellphones, PDAs, digital cameras, modems, or ISDN terminal adapters through your USB port. Has a data transfer rate of over 250 kbps. Since the adapter uses no IRQs, there are no IRQ conflicts, and it is ideal for when you need many serial devices attached to your PC. Use this adapter to connect directly to a serial device or to free your RS-232 port for other uses. If you have any questions about this product by C2G/ Cables To Go, contact us by completing and submitting the form below. If you are looking for a specif part number, please include it with your message.